The Schoolhouse Review Crew is known for reviewing homeschool curriculum for a variety of ages. Sometimes we get the opportunity to review things just for Mom (like the Koru Naturals I did earlier this year), and sometimes we get things for the littles in our families. S is for Smiling Sunrise is such a product. Offered by WordsBright, this charming hardcover book goes through the alphabet with a short poem representing each letter. 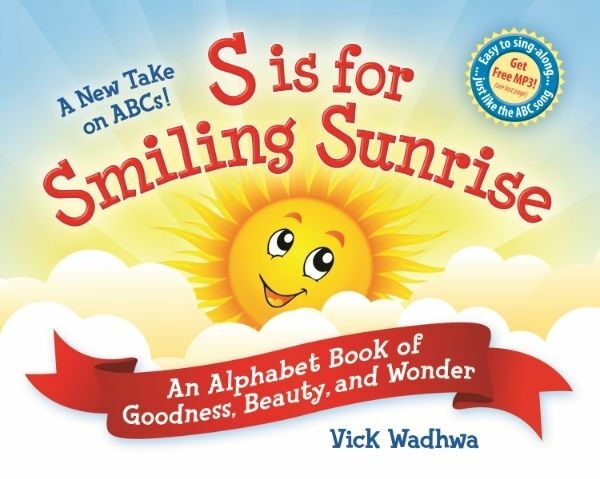 While it is moderately similar to other books of its style (A-is-for-apple, B-is-for-baseball), S is for Smiling Sunrise is different in that its poems and letter representations are designed to inspire parents and encourage children to be better people. For example, while “J is for Jewelry,” it’s not simply because jewels are beautiful, or because our children should aspire to have a lot of valuable things. When heart and mind align! In addition to having such lovely thoughts for each letter of the alphabet, the book illustrates concept beautifully. Some are done with illustrations while others are done with photographs. Despite this combination of mediums, it doesn’t feel choppy at all. Each page is just as beautiful as the one before or after it. In addition to the book (information on pricing and availability is available on the website), there is a downloadable teacher’s guide for using the book as a “curriculum” with older preschool children. This includes instructions and ideas for turning each letter into a lesson by doing things like discussing the different aspects of each poem or creating a piece of art and visiting an art museum (during the A is for Artwork lesson). Because Small Fry isn’t even 3 yet, we didn’t really do any of these things. We just read the book. Again and again. He really loves it. On top of the teacher guide, you can also download (for free) an mp3 from the website that is a song version of the book. While members of the Crew received a CD, this isn’t available for purchase; the free mp3 is the only way to access this song. And it’s the way I accessed it, anyway, since our only CD player is in our car. The download option for the song is quite easy. Enter your email address, and they send you a link within just a few minutes. It wasn’t complicated at all. And the song is just as charming as the book. Small Fry and I would definitely recommend this book for kids from toddler-hood through preschool. It’s a wonderful addition to our library, and will be to yours, too! As always, I’m not the only one reviewing this lovely book this week. Click the banner below to read more reviews from other moms of littles.